I am very pleased to be welcoming Sophie Turner to the blog again today. 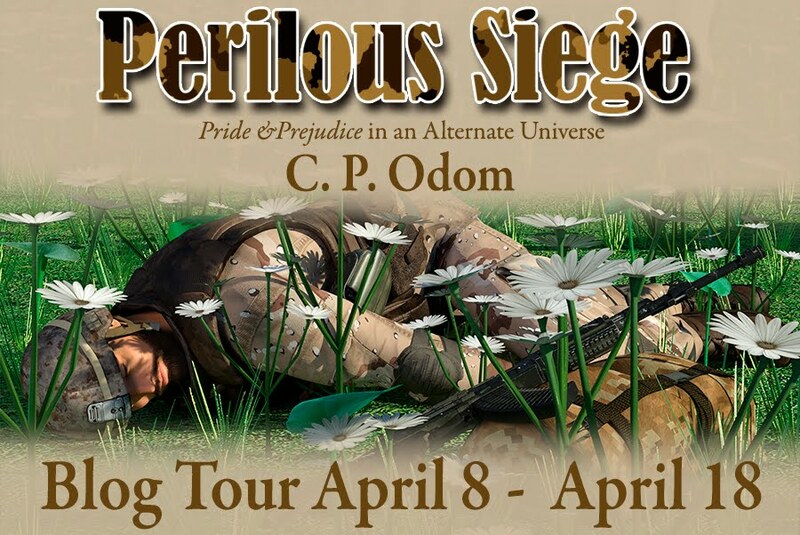 Sophie has visited previously with her series of books which starts with a sequel to 'Pride & Prejudice'. 'The Constant Love' series has two books currently available, but Sophie's latest book is a stand-alone volume. Again, it's a sequel of sorts to 'Pride & Prejudice' in that it takes place after that timeframe, but here Elizabeth and Darcy didn't marry. Instead she married another. Meeting up some years later, Darcy thinks hopefully of a second chance at happiness, but Elizabeth is by no means keen to marry again. Let me share the blurb with you, and then we can move on to a guest post that Sophie Turner has for us to enjoy. There is also a giveaway opportunity; 2 ebooks of 'Mistress' are available for you to win. Read on for more details! 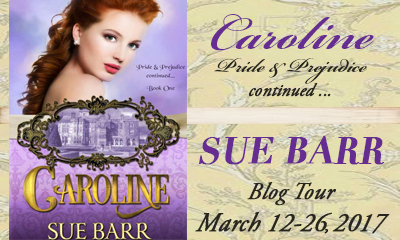 Today I have the pleasure of hosting a stop on the blog tour for Sue Barr's 'Caroline, Pride & Prejudice Continued… Book One'. 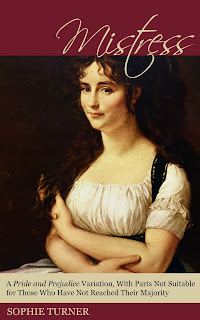 This story takes a look at what Miss Bingley may have done after realising that Mr Darcy, her brightest hope for an excellent marriage, was lost to her. I know Miss Bingley is often cast as a villain, but canon Miss Bingley. although a bit of a social climber, actually wasn't that bad, so I'm interested to see what treatment she gets in this story. Today I have the honour of joining one of my favourite bloggers in sharing with you the cover of Linda Beutler's upcoming new story, 'My Mr Darcy and Your Mr Bingley'. I'll be sharing the front cover, and Rita, of 'From Pemberley to Milton' will be sharing the back cover. I am pleased to be able to bring you news of Linda's new story. She's visited the blog before, as the author of 'The Red Chrysanthemum', 'Longbourn to London', 'A Will of Iron' and as a contributing author to the 'Sunkissed: Effusions of Summer' anthology. Well you would be forgiven for thinking that I'd been abducted by aliens lately, for how much I've blogged. I've just been so busy in work that I end up flopping on the sofa of an evening. This month looks similarly busy, but I have to use up some annual leave so I need to make sure that I keep some time for myself rather than doing 'useful' things. We've been sorting out the house and got some new furniture in the last month. Feast your eyes on this bad boy! I have a bookworm confession... due to space my poor books are all upstairs, squirreled away in cupboards. It's not fitting. This is the first really nice, tidy bookshelf I think I've ever had! I don't have all my books on it; I have my physical TBR pile, and some favourites, but there are gaps too, maybe too many gaps if you start finding livestock on there! In February I had the treat of going to see 'Pride & Prejudice' on stage. I really enjoyed it, although I think the story needs a longer piece to do it justice really. Without the gradual unfolding of Darcy falling in love and then, much later, Lizzy falling in love you couldn't quite feel it the same. Darcy came across as quite grumpy in this version too! One thing I hadn't expected was just how funny it was. It played up the comedic potential of Mrs Bennet and Mr Collins wonderfully. In fact, Mrs Bennet was my favourite. My mum favoured Mr Bennet, who was excellent, but not half as funny! Now, onto what March has in store. I am not sure what I plan to read, to be honest, aside from continuing my February reads, but I have a couple of blog tours dropping by, which I hope you'll come back to enjoy. 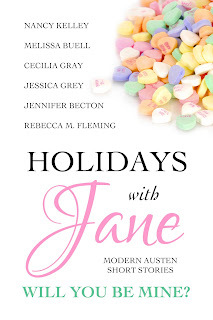 First up is a story focusing on the foil to Elizabeth Bennet. Caroline by Sue Barr looks at what Miss Bingley might've done after her brightest hope for a good match got married to somebody else. 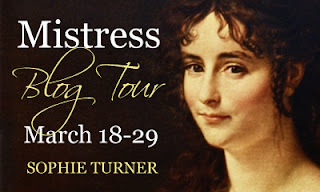 Also visiting will be the blog tour for Sophie Turner's 'The Mistress'. This takes place after the original setting of P&P. Here, Elizabeth turns down Mr Darcy's offer of marriage and instead marries elsewhere. Some years later a widowed Elizabeth meets Mr Darcy again. 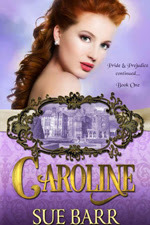 She has vowed never to marry again, but can he convince her that to become the mistress of Pemberley would be something? 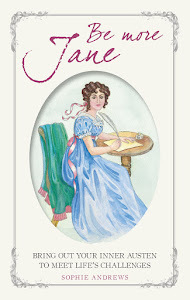 If you'd like to join in a group read this month, the Austenesque TBR Group on Goodreads will be taking on Jane Austen, Her Life and Letters: A Family Record. This book was written by relatives of Austen, so should provide a different perspective (sanitised perhaps, or maybe more personal?). It's a lovely group and they are very welcoming, so join in if you'd like. What do you plan to read this month? Please let me know in the comments below. Ladies, I will be in touch. Congratulations! Thank you to everybody who dropped by to enjoy the guest post and commented and of course huge thanks go to Jessica Grey for the guest post. 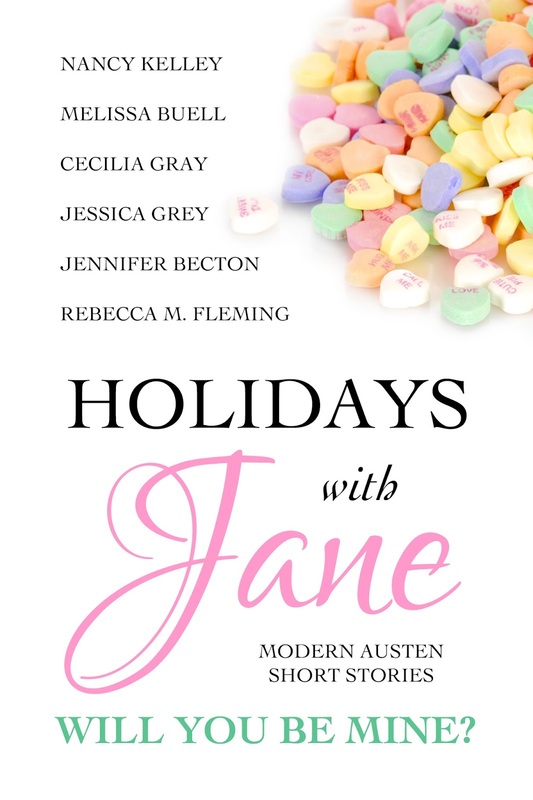 Remember, if you'd like to read any of the 'Holidays with Jane' series, they are all available to buy on Amazon, and I've noticed that this particular title has been reduced, at least on Amazon UK, so this might be a good time to snaffle it up if you're planning to read it.